Finding and using the right association management software (AMS) is the first step toward automating member management and the time-consuming tasks related to managing your members. 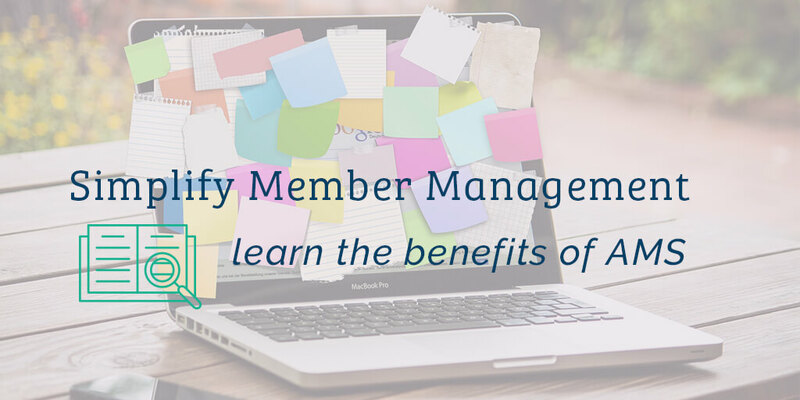 If you’re not using an AMS to manage your membership, you’re likely using several spreadsheets, an email service, and several other tools to manage your organization, spending time and money to keep it all under control. However, with limited budgets and a small staff, efficiency and optimal productivity don’t have to remain out of reach. Consider moving to a robust platform like AMO to save time and make your life easier. You might track your members in a spreadsheet, updating it every time a member joins or their personal information changes. You might also be using spreadsheets to manage dues, email lists, and member account information. By storing all of this information in a member database, this information can be stored in one place, updated proactively by members, used to send personalized email announcements or newsletters, and be used in a public directory so your members can easily connect with each other. AMO’s member database allows you to manage member and organizational data in one place, with customizable fields to fit your organization and reporting tools to track membership information. Rather than spending your valuable time adding new members to a spreadsheet, AMO automates the process, allowing the member to enter their information and immediately sending them a personalized confirmation email with an invoice and login information so they can start receiving the benefits of your organization right away. You’ll be notified of each new member and can customize a pre-written welcome letter to thank them for joining. The result is a satisfied customer that feels appreciated and like part of the organization from day one. The AMO Member Center makes it easy for members to access and manage their personal information. This takes the task off of your to-do list and ensures accuracy. Keeping up to date information on members, including contact information, membership levels, and any recent certifications or title changes can help you better serve your members. You’ll get fewer email bounce backs, can send congratulatory messages for promotions or certifications they’ve earned, or recommend a job or class that might be a good fit for them. You can also use the Member Center to connect members and form groups with common interests, register attendees for events, and remind them of their membership expiration, providing value to your members. Manually maintaining spreadsheets can allow payments and membership expirations to fall through the cracks. This could mean missing out on dues revenue and allowing expired members to access your association’s benefits. An AMS offers dynamic, automated member management that can process dues, remind members of late payments, send notifications when a membership is about to expire and reporting to help you stay on top of it all. Choosing the right association management software for your organization doesn’t have to be painful. If you’re ready to learn more, sign up with AMO today and we’ll give you one month to try it out for free. Schedule a call to learn more about how AMO can help your association or sign up for a free trial today!